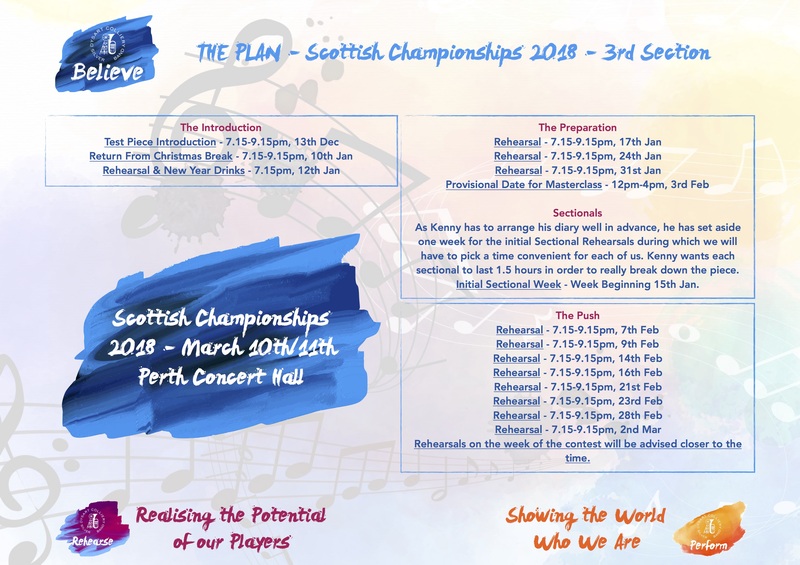 And so, as we come close to completing the Christmas Concert, our thoughts turn to next year’s Scottish Championships – our first time in the Third Section for 50 years. I have drafted this plan with Kenny in order that we can have a look at the expectations and practicalities of the run to Perth. Please look over this carefully and get back to me (Ron) on any issues we may have. We still have time to edit this if need be, but need to work round Kenny’s schedule as he is so busy.